Let your imagination take flight with our womens fantasy costumes. Here you will find costumes to transform you into a creature of myth, legend, or fairytale. Fairy, angel, and mermaid costumes all call this category home. These fantasy costumes are great for Halloween, costume parties, theatrical performances, and other special events where you want a look that is truly magical. We carry a range of sizes and costume styles to choose from, so shop butterfly, fairy, and angel costumes with wings attached or included here as well as other mythology and fantasy creature costumes for women. 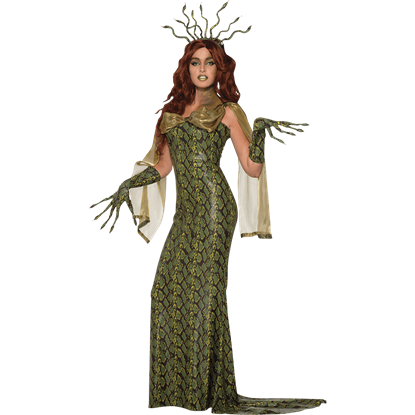 Impress and enchant at your next costumed event wearing our beautiful womens fantasy costumes! Butterflies are among the most lovely creatures in the realm, and now, you can capture that beauty and make it your own just by putting on this Beautiful Butterfly Womens Costume, which will transform any woman into a winged wonder. Add an extra touch of magic to an enchanted evening. Lend a helping hand to the heartbroken princess or rescue a cursed prince. Appear at just the right moment, and in remarkable style, with the Fairy Godmother Deluxe Adult Costume. Infused with both modern flair and beauty of the ancient world, the Goddess of the Hunt Costume carries forth the sovereignty of ancient women with a modern, form-flattering design for an ensemble full of godly power and beauty. Bless your fellow partygoers by adding a touch of the divine to the festive atmosphere. For an event so grand that even the heavenly hosts appear, be arrayed in the beautiful style of the Secret Wishes Deluxe Angel Corset Costume. Will you choose to be a lovely creature of nature or a mischievous pixie of the enchanted realm for Halloween? Regardless, you will enliven the party while beautifully adorn with the Secret Wishes Ladies Butterfly Pixie Costume. With the power to turn all who looked upon her to stone, Medusa was feared throughout Greek mythology. Though you may not truly turn them to stone, onlookers will be indisposed to look away when you wear the Gorgon Medusa Costume! Reveal the sinister creature hidden beneath your captivating beauty. 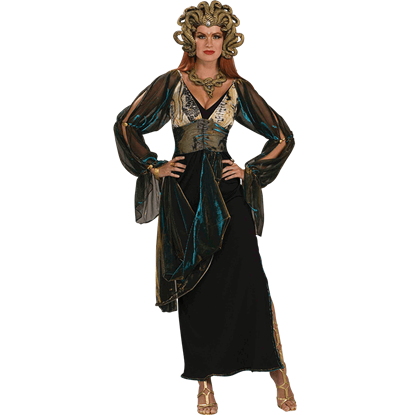 Mesmerize the Halloween crowd and entrap the weak with merely a glance with the Venomous Vixen Costume to divulge your identity as the Grecian Gorgon, Medusa. Even the dragons of legend need a leader, but few have been able to hold power over these mighty beasts. Embrace the dark power within yourself and take your rightful place as ruler of dragons with the Wicked Queen of Dragons Costume! 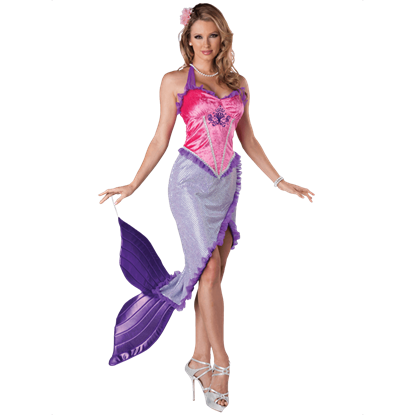 You can be a wonder of the deep seas when wearing the Womens Beautiful Mermaid Costume, which provides a shimmery elegance to any wearer. Passing ships will be drawn to your beauty as you rest upon a rock among the waves. 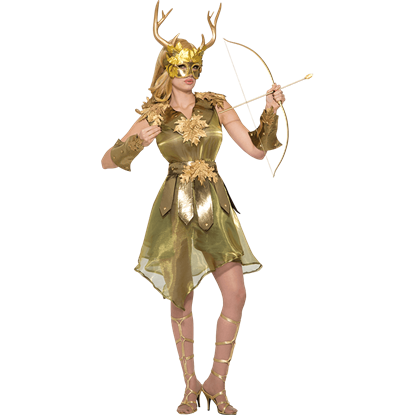 Enchant all the attendees at your next costume party when you emerge from the fairy realm dressed in the Womens Dark Forest Fawn Costume. This fantasy costume kit blends the charm of fairytale and myth with flirty modern fashion. You will send the room aflutter whenever you arrive dressed as a charming butterfly fairy at your next costume party! 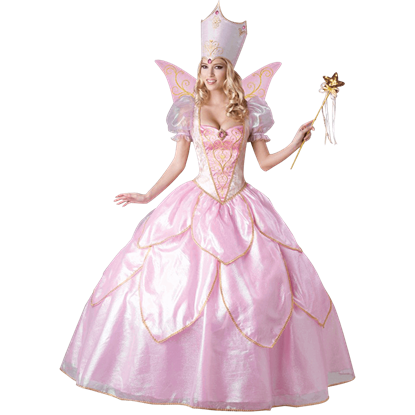 The Womens Flirtatious Fairy Costume offers a sultry look for any lady with its playful colors and ruffled skirt. You may not transform those who see you into stone, but you will still look downright stunning in the Womens Medusa Costume. This lovely yet monstrous adult Halloween costume is inspired by the infamous Gorgon of Greek myth.